Expecting another member to your growing family? 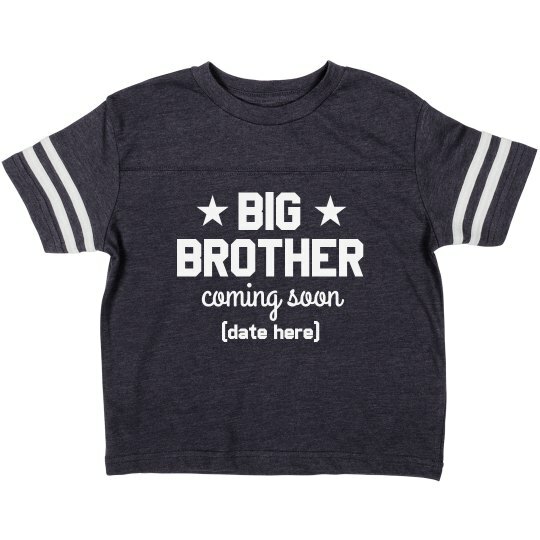 Customize a tee to announce your little boy is going to soon be a big brother! Add the date to the bottom to personalize it to your family and have him wear it at the announcement party. Be sure to check out the Big Sister Coming Soon version too!